ArtPrize Beers Over the Years - Founders Brewing Co.
Posted on September 26, 2018 by Founders Brewing Co. Inspired Artist Black IPA kicked off the Artist Series and our partnership with ArtPrize in 2013. The label art was created by local artist Kevin O’Rourke. 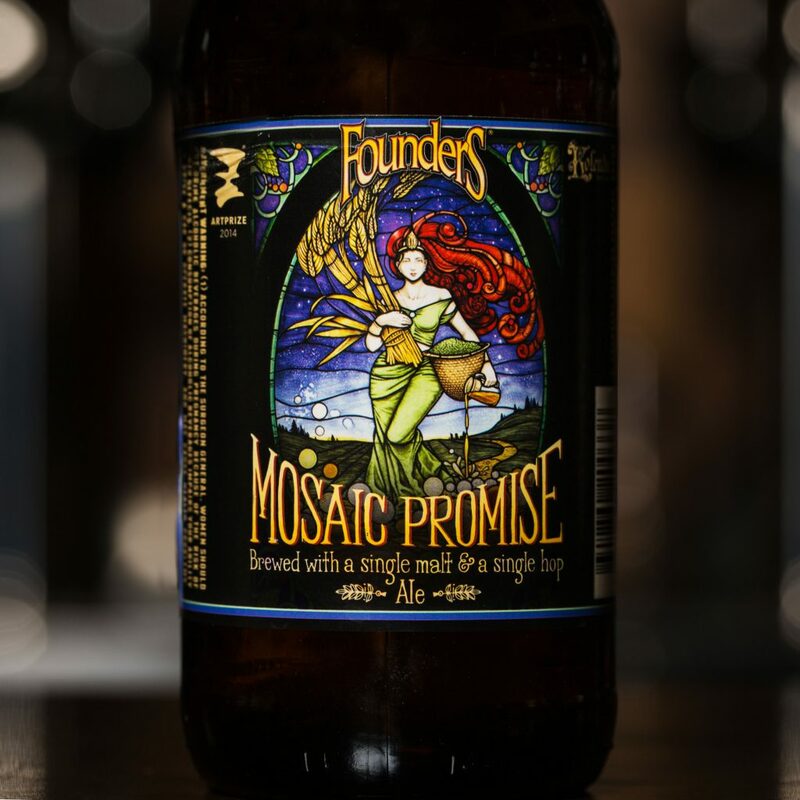 Did you know that Mosaic Promise launched its career in 2014 as a beer to benefit ArtPrize? It’s true! The label art was adapted from a gorgeous stained glass piece of Ninkasi – the ancient Sumerian goddess of beer. Initially created by Kolenda Art Glass as an entry for ArtPrize 2013, the work was purchased and made a permanent fixture in the taproom. Mosaic Promise is a single hop ale featuring Mosaic hops and Golden Promise malt. It is currently available from August through November. Spectra Trifecta was the third release brewed to benefit ArtPrize and perhaps the most out-of-the-box in terms of flavor profile. 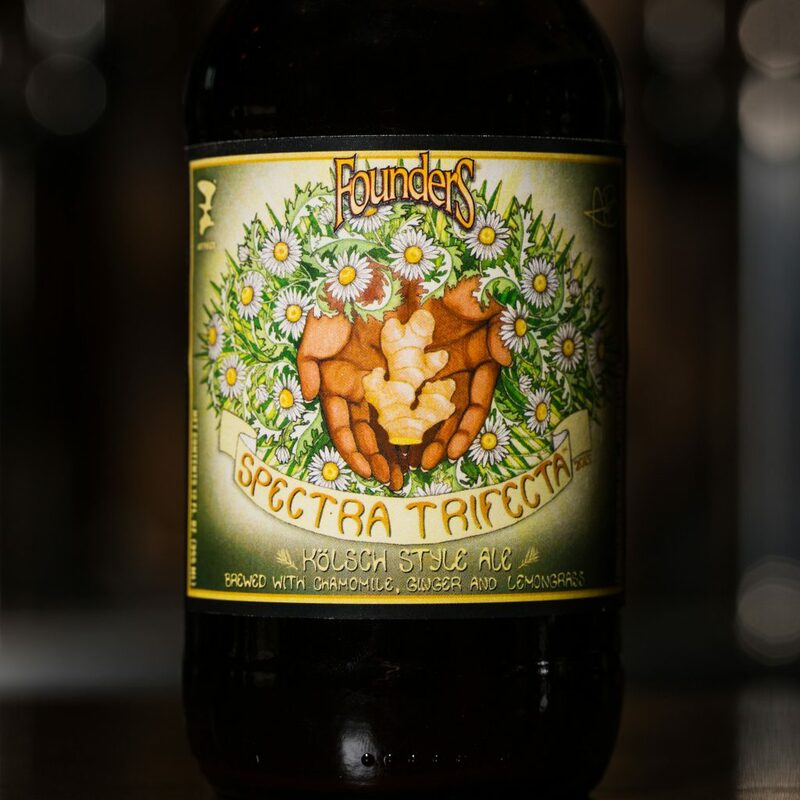 A kolsch brewed with chamomile, ginger and lemongrass, Spectra Trifecta challenged our brewing prowess. Also, it was also the first time we reached out to our Founders Family to create the label artwork. That honor went to Alexis Brooke whose pen and ink drawings perfectly fit the character of the beer. 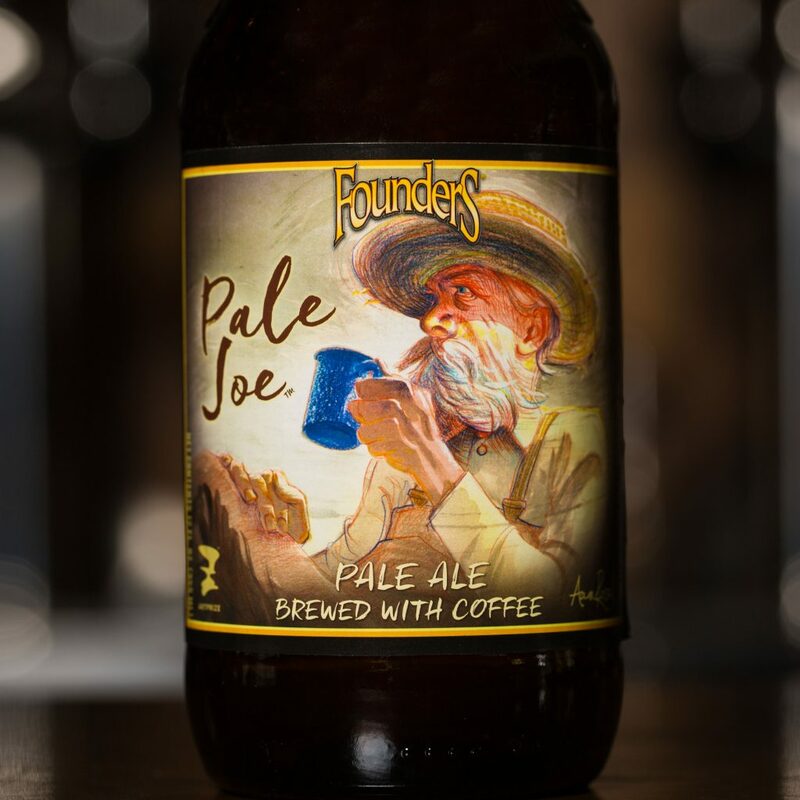 Pale Joe was the fourth release in our Artist Series. This golden ale featured gently roasted, fruit-forward coffee provided by our friends at Ferris Coffee & Nut. 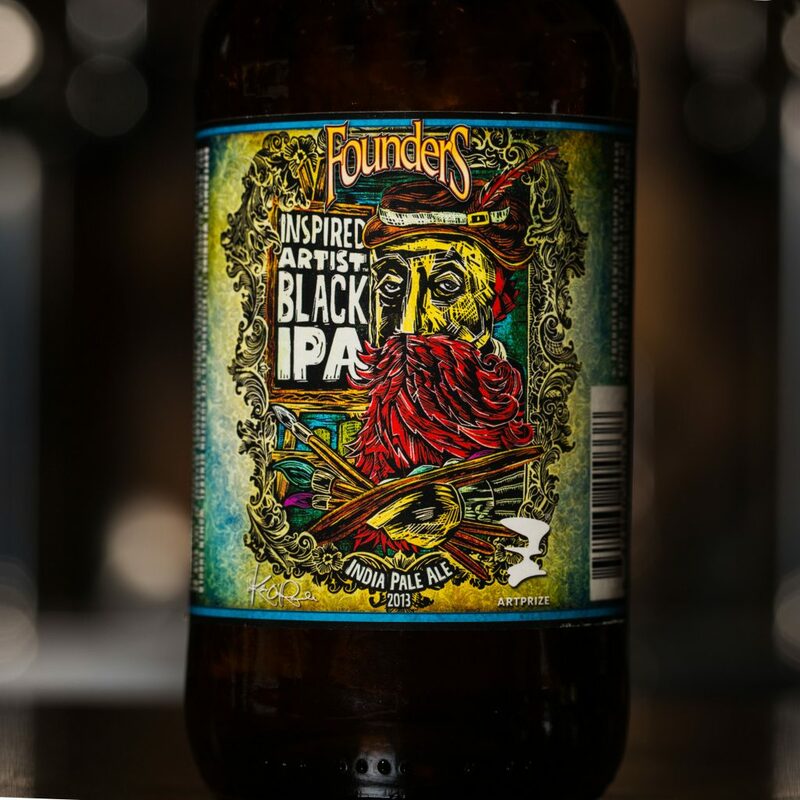 Once again, we reached out to our talentedFounders Family to create the label art for this release. Lead Cellar Operator, Aaron Rossell, was chosen for his striking character illustrations and unexpected use of color. Green Zebra was the fifth release in the series and one of the most popular. 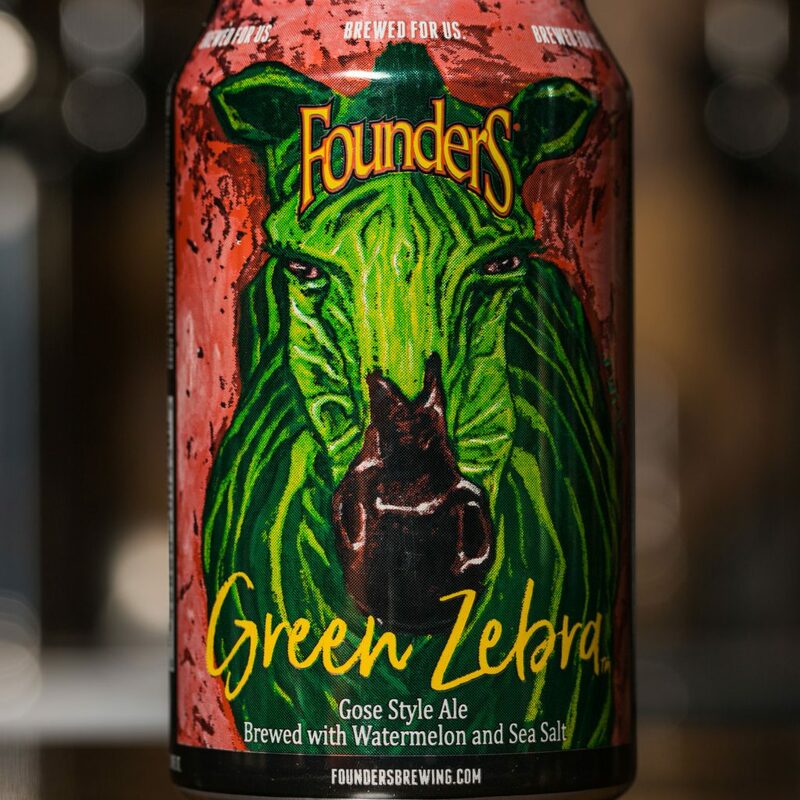 A gose brewed with watermelon and sea salt, Green Zebra represented our take on a unique German style. The striking label was designed by the taproom’s Jacob Wiseheart and perfectly complemented the beer’s vibrant character. Trigo marks the sixth and most recent release in our Artist series. 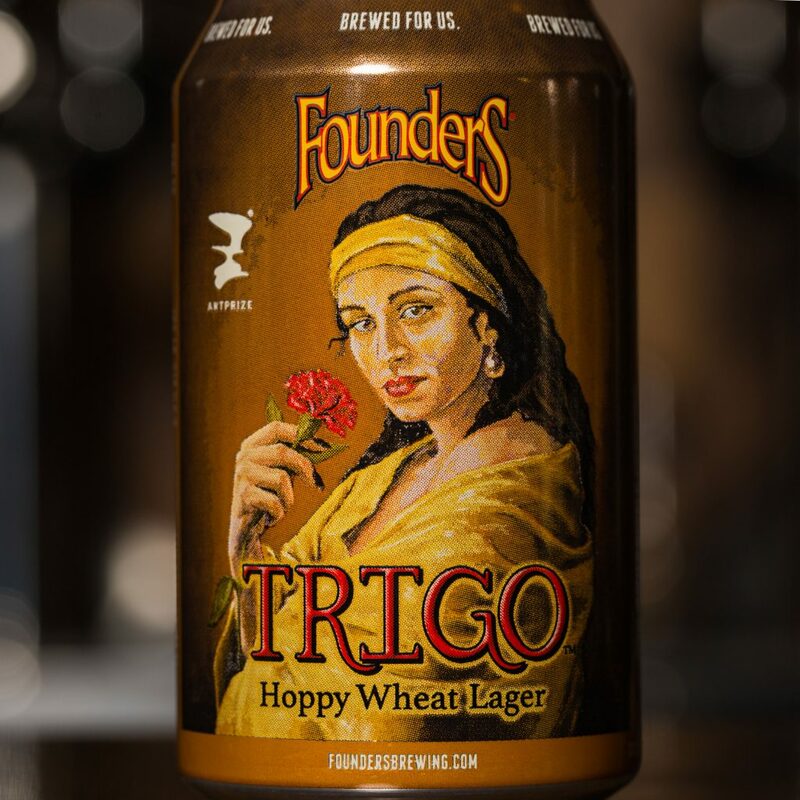 Brewed with our friends from Mahou, Trigo is a wheat lager featuring our favorite American hops. The artwork was creating by chef/painter Cody Levon and pays homage to the beer’s Spanish roots. Learn more about ArtPrize here and make sure to explore Grand Rapids through October 3 to experience it for yourself!